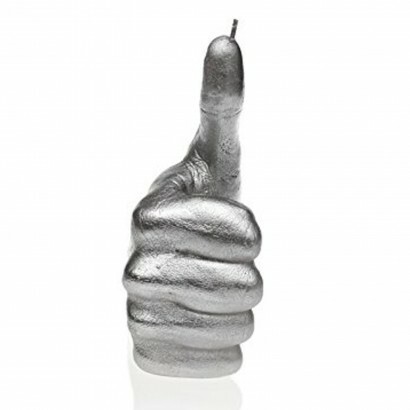 Give the thumbs up to funky candles with this large hand gesture candle! 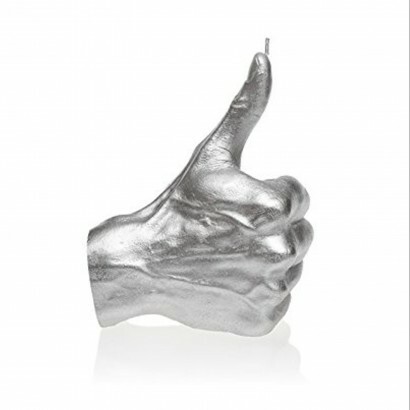 From expressing social media likes to expressing "I'm OK" the thumbs up is a universal symbol for all's good and so this metallic silver candle is ideal for spreading feel good vibes in your home. 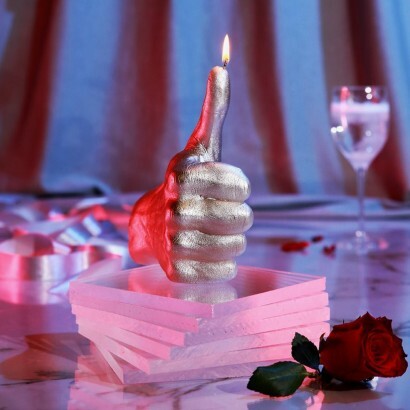 With a wick in the raised thumb, this large candle has a fantastic 30 hour burn time, which is plenty of relaxing evenings in, or evenings entertaining.